Originally from Salt Lake City, Alex Granato has represented the U.S. in Nations Cup competition and won more than 40 Grand Prix events. His riding career began with western riding lessons at the age of five, returning to the saddle at age nine for lessons in English riding. He began competing locally and became the youngest rider to win the Utah Hunter Jumper Association Medal Finals. At age 17, he moved to nearby Colorado to train with an eye on the North American Junior and Young Rider Championships. From 2006-13, Granato dominated the Midwest circuit and in 2012 was named to the USEF Long List for the U.S. Olympic Team. He started his own barn and training operation in 2013, naming it Mad Season LLC. He based it out of Wellington, where he first competed in 2012. He has had success recently in Wellington, where he helped the men’s team capture the Battle of the Sexes for the first time in 2018. 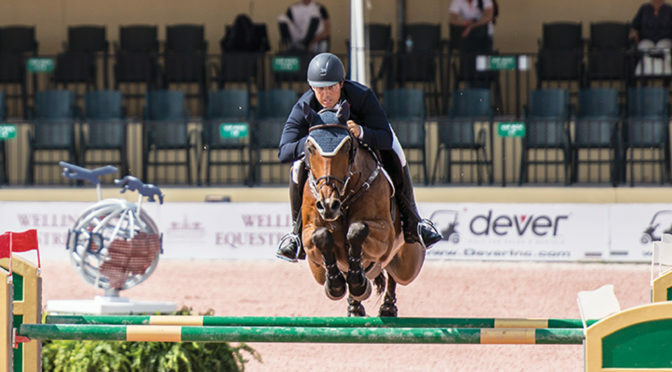 Also in 2018, he rode to victory in the $50,000 Equiline Grand Prix aboard Carlchen W and took the top spot in the $35,000 Equinimity WEF Challenge Cup Round 8. He ended the year winning the $35,000 Joe DiMaggio Children’s Hospital 1.50m Qualifier CSI 4*.